Baton Rouge Pride is dedicated to providing resources, education, cultural events, and other community-building activities for the South Louisiana LGBTQ+ community and its friends, families and allies. Baton Rouge Pride Inc. is a volunteer-run nonprofit organization (with IRS 501(c)3 recognition, for interested contributors). We are dedicated to providing resources, education, cultural events, and other community-building activities for the South Louisiana LGBTQ+ community and its friends, families and allies. Founded in 2006, Baton Rouge Pride (also known as the Baton Rouge Pride Fest) originated as a secular outreach of MCC of Baton Rouge. It was designed as a gathering and celebration for the LGBTQ+community in the area but also as an educational and community building event centered on a community resource fair. 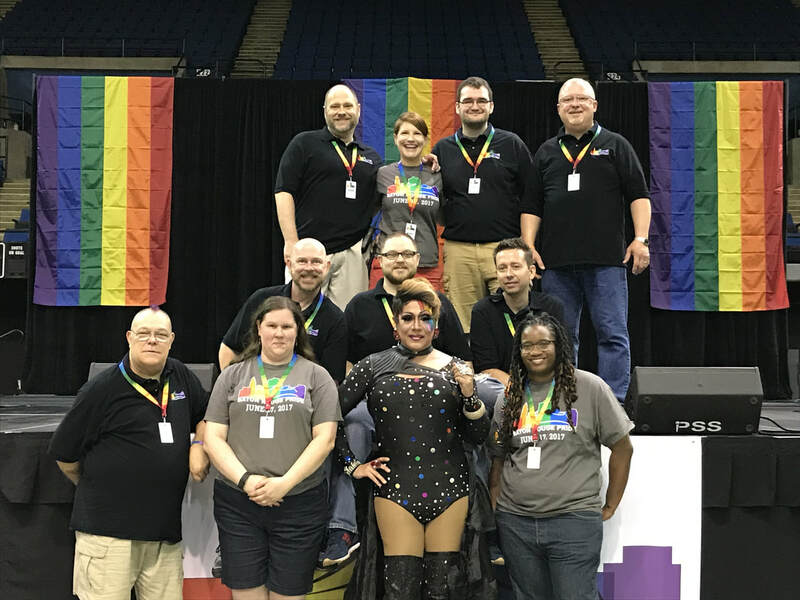 Since that beginning with less than 500 attendees and 15 resource fair participants in 2007, it has grown to be Louisiana's largest pride celebration -- with more than 12,500 attendees and nearly 75 organizations in the resource fair in 2017. Better yet, since 2010, it also is the South's (if not the world's) largest indoor, family friendly pride celebration. Our resource fair has continually grown to encompass more emphasis on community health, well-being and unity - a major component each year is a variety of health education and testing services. The overall event blends education about community resources, health counseling, family activities, area artists performers and more. A mix of education about health and wellness with entertainment and fun draws people from all walks of life! Over all eleven years of the event, sponsors and grant providers, as well as an all-volunteer board and staff, have helped us to keep it as a free admission event, allowing everyone to participate in this day of community. The amazing team of volunteers to make Baton Rouge Pride happen year after year. If you would like to join the Baton Rouge Pride Planning team, please contact us by clicking HERE. We meet at the Freedom Center hosted by the Metropolitan Community Church of Baton Rouge located at 7747 Tom Drive, Baton Rouge, La.